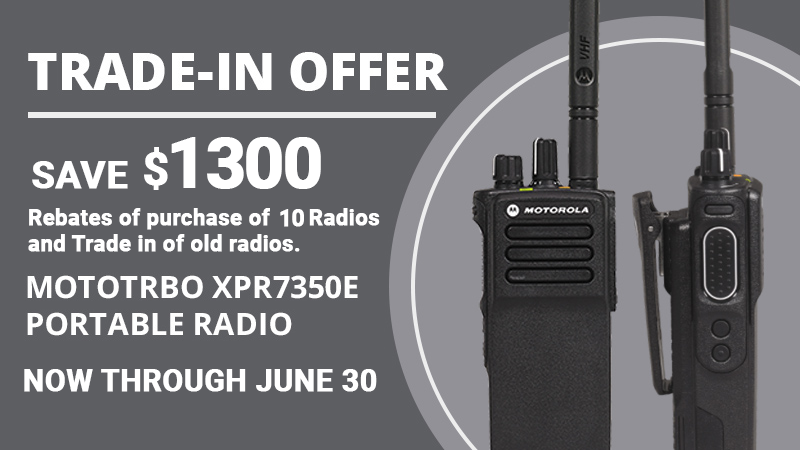 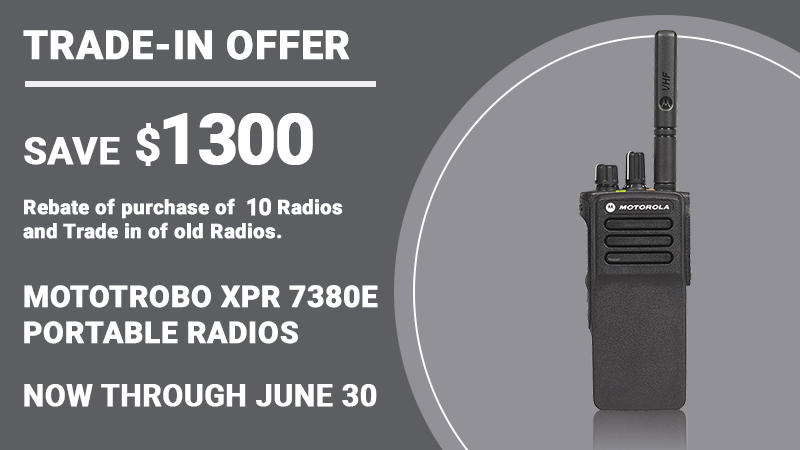 Current Promotions – Radio Express Inc.
Trade-in discounts.– Save$ 1300 on the XPR 7000e, XPR 7000e IS and SL 7000e Series radios when they purchase 10 radios and trade in 10 eligible units. 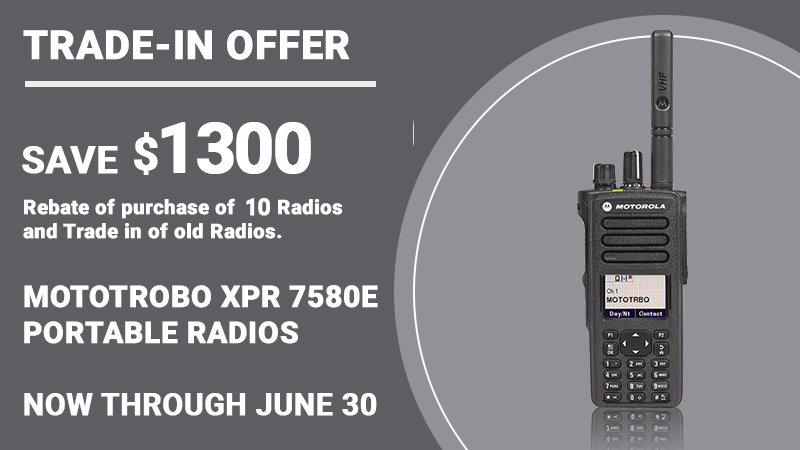 $350 USD on the CP200D Series radio, rebate on purchase of 10 radios and Trade in of old radios. 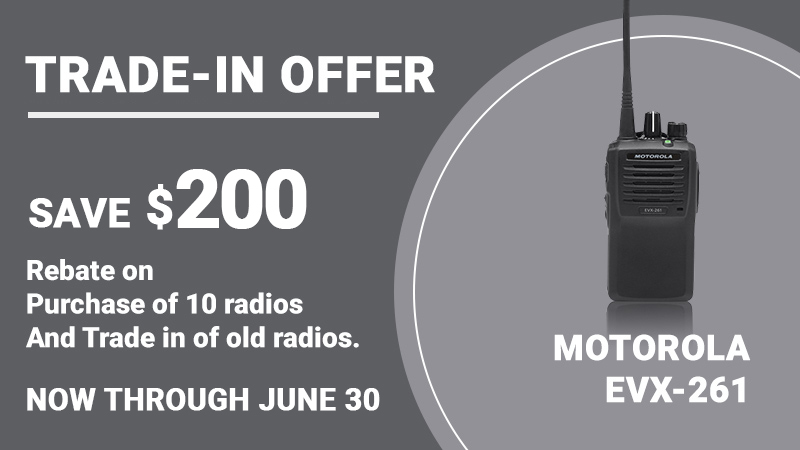 $200 USD on the EVX-261 Series radio, rebate on purchase of 10 radios and Trade in of old radios. 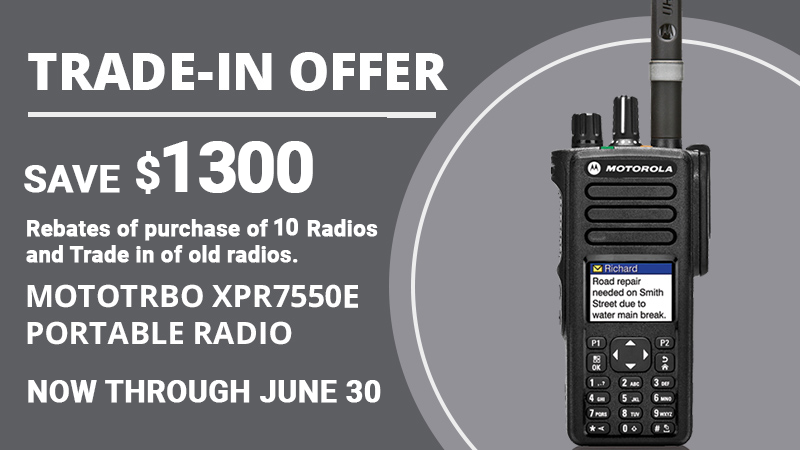 Financing offers. 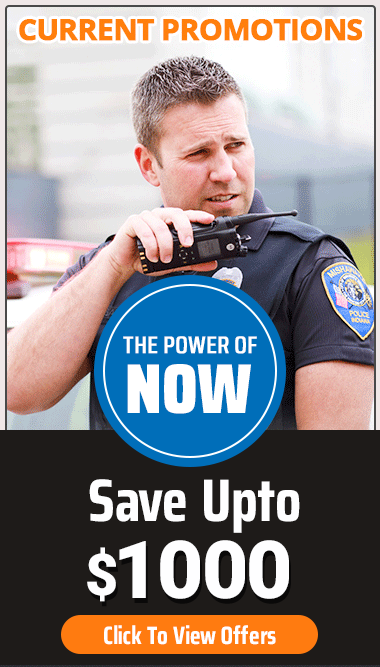 0% financing for 12 months or 6.67% financing for 60 months. The MOTOTRBO SL7550e portable radio is slim and light. 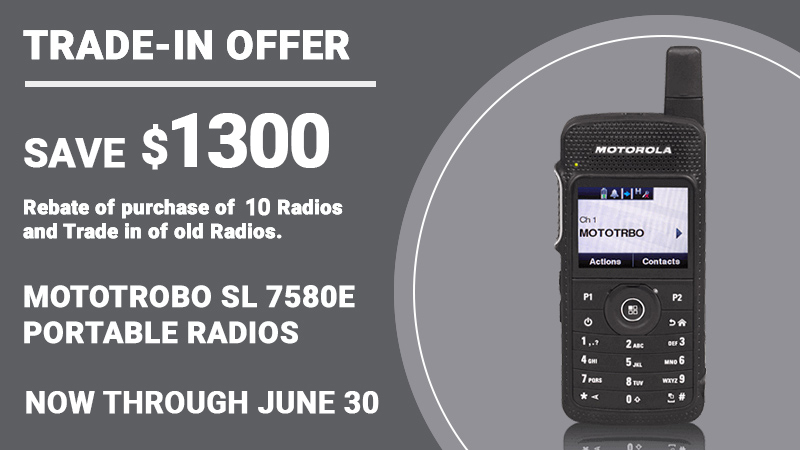 Pocket- sized and with a smooth outline, the radios feature a full keypad and five-line color screen with customizable display schemes. 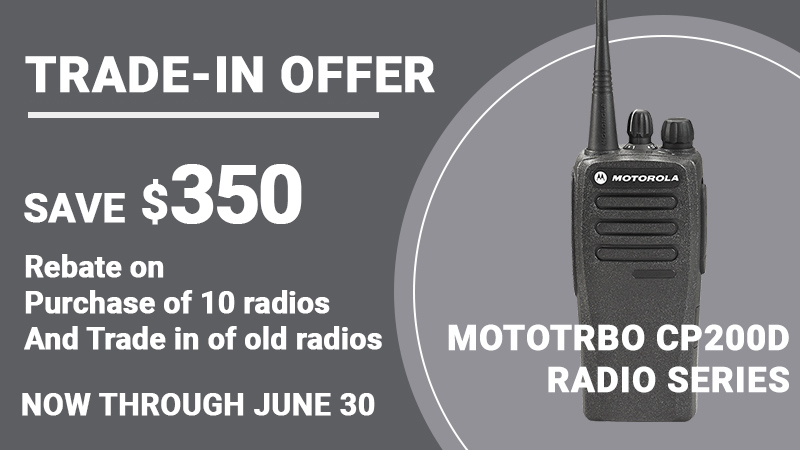 A built-in vibrate function alerts you quietly when you need to be discreet, and a comprehensive range of audio accessories allows you to stay connected without disturbing your customers. 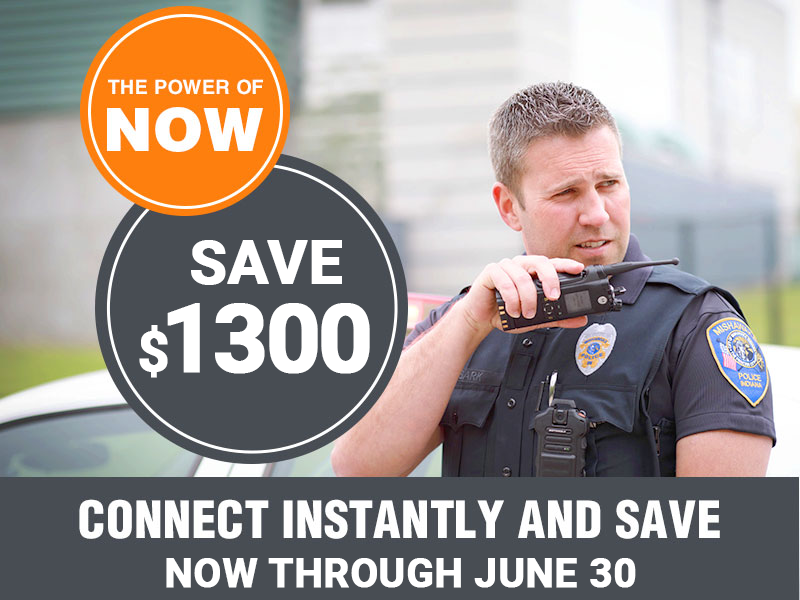 Built-in photosensor intuitively adjusts backlighting on the screen to optimize viewing in all types of conditions; special “day/night mode” changes screen and illuminates icons to make them clear and readable in varying light conditions. 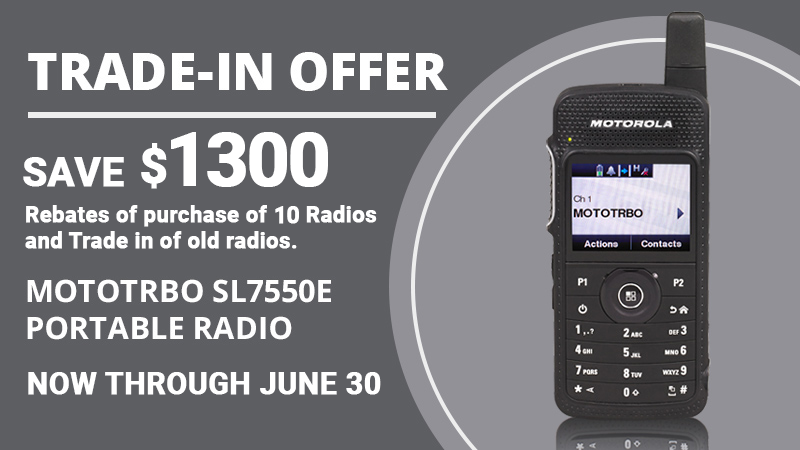 Large, high-definition, five-line, color display offers high clarity and resolution.